Bringing a Pre-War frame into the 20th century. This could be interesting indeed. Pulling up a chair. Hey, brilliant work - I'll be watching this closely. Just a word of caution - I don't know what kind of primer you're using, but most primers are porous; they'll soak up moisture over time which may cause problems later on when you come to paint over them - only if you leave it for weeks or months, though. On car/bike restoration projects my personal preference is self-etch zinc primer for bare metal - it's much less porous. Red oxide primer is pretty good too, IMO it doesn't give as good adhesion as self-etching zinc. It sounds like its a temporary measure while all the welding and mods are done to be fair. Probably will be re stripped before final finish? 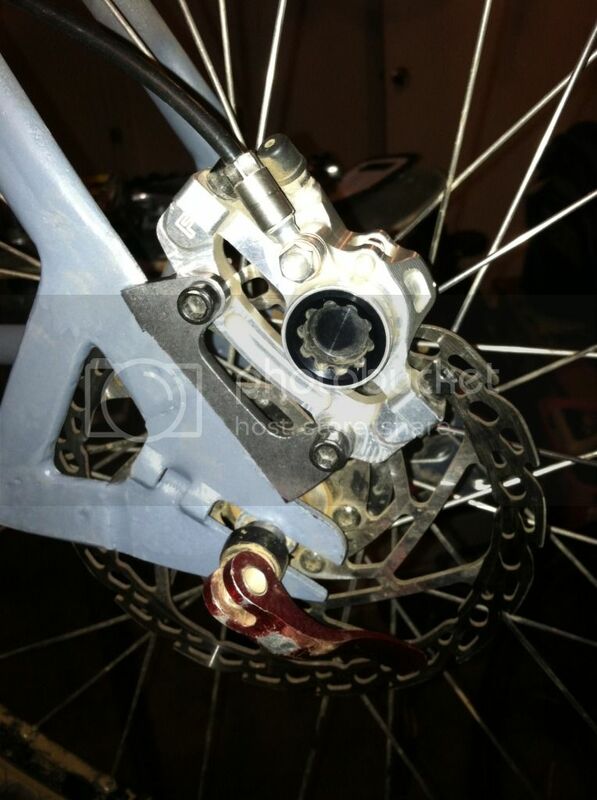 Can you fasten your disc tab to the rear triangle brace? No, due to the spacing originally being only 114mm and cold set now to 135 the chainstay is too close to the rotor when the wheel is mounted. 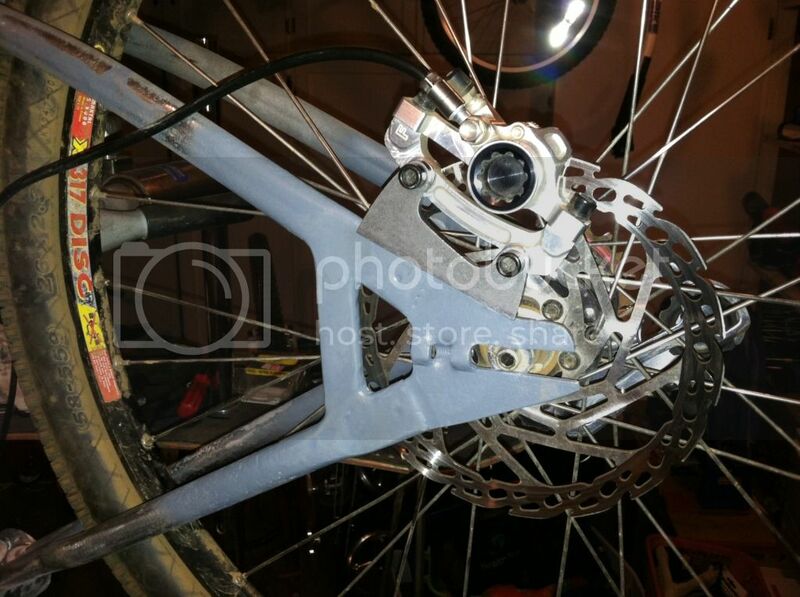 The disk tab will have to be mounted over the dropout if it will work at all. I have the disk mount on its way. I could have made my own but the steel ones from Pacenti are only $6 bucks. Once it gets here I will know. Have you considered internal cable routing? Yeah, it is a temp solution. The primer is just because the areas I sanded to prep for brazing started to rust overnight. So i can either strip off primer or I can strip off rust when the time comes. I prefer stripping off primer. And yes, I had thought about internal cable routing but given the age of the frame it seems like a bad idea. Although it would look pretty killer. I am certainly still in the 20th. Duh! So I made a little progress today. I am sure now that I can pull this off. I got the disk tab in today and tried it on for size. Untrimmed like this was a no-go. I would never be able to get the wheel on an off without messing with the brake. So I trimmed it a bit, still rough but after some grinding and filing it should fit flush to the top of the seat stay. Then I will strip that primer back off, sand it with 80 grit so the brass can get a grip and then I will lay a fat bead in there. This way I can take the wheel off without any fuss.